The highest temperature recorded in Clearwater, Florida was 102 degrees F. When the temperatures get this hot, you want to make sure that you have a reliable air conditioning system to keep you cool. Clearwater Breeze Air Conditioning is here to help with expert AC system installation services. Whether you need help picking out a HVAC unit or designing an energy-saving zoning system, we are here to help with all aspects of the installation. If you need AC installation services in the Clearwater, FL area, don’t wait – call us today (727) 386-7270. We offer speedy services, affordable prices, and excellent work from NATE-certified technicians. There are numerous factors to consider when choosing an AC system for your home or business. These factors go beyond just the size of the building and the energy rating of the model. For example, two homes may have the exact same layout. 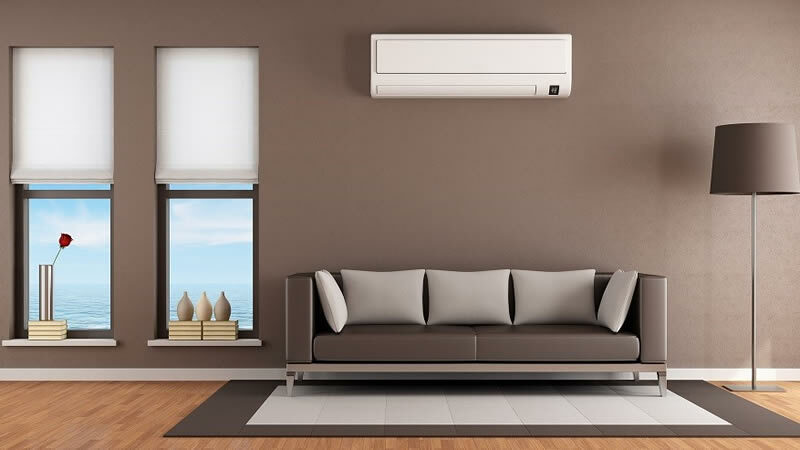 However, one home may require a very different approach to AC installation based on the way that the home is used, whether there are other cooling systems in place like overhead fans, and personal comfort levels. At Clearwater Breeze Air Conditioning, we always work closely with our customers to make sure their individual needs are being met in the most cost-efficient manner. We look at the immediate costs of installation as well as the ongoing costs of running and maintaining AC systems. We know that keeping your home and business cool can be costly. You shouldn’t have to choose between cost and comfort though! We specialize in cost-saving solutions for heating and cooling. As part of our AC installation services, we can help you with innovative ways to save money. Incorrect AC Installation Leads to Problems! Even if you are just installing a basic window AC unit, it is still vital that it gets installed correctly. Incorrect installation is one of the leading causes of AC failure. Don’t try to save money on cheap, unqualified AC installation only to have to pay for costly repairs later on. Incorrect AC installation also means that you can pay much more than necessary on your utility bills. Remember, air conditioning is an investment for your home, so you want to get it right the first time around! Why Choose Us for AC Installation Services in Clearwater, FL? •	All Major Makes and Models of AC systems: We know it isn’t enough to offer one type of AC system! We are committed to choice and can service and install major makes and models of HVAC and AC systems. •	Energy-Saving Solutions: Don’t pay more than necessary for keeping your home cool! We can help with solutions including AC system design, energy zoning, and eco-friendly upgrades. We provide free estimates for AC installation services in Clearwater. Contact us today to learn more.